Sonali Bank Ltd. 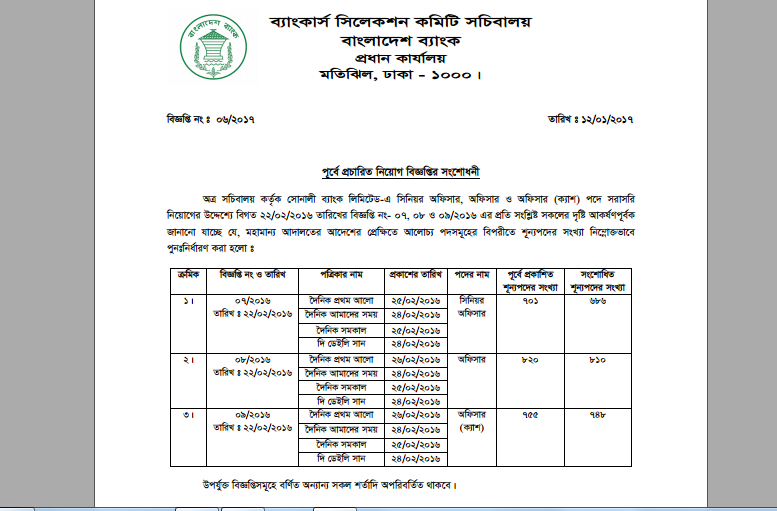 Writ Result of 3 Category 2201 Post is available below. Sonali Bank Ltd. has published writ result on 03 categorizes post. It’s a lucrative job and it’s great chance to get job for job seeker. This job is perfect to build up a significant career. Those, who want to work,they should be taken out of this opportunity. Sonali Bank Ltd. is a renowned Government bank in Bangladesh. Previous How can the card information be corrected ?